Navigation within the ISBE website has been totally changed. 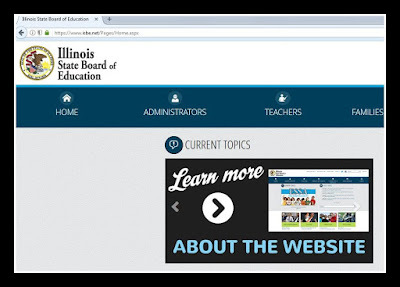 Launched late last year, the Illinois State Board of Education’s (ISBE) updated website offers a number of improvements for users and a noticeably modern look. The navigation within the website has been totally transformed. Materials are now categorized by audience and topic, with content that is easily discernible for administrators, teachers, students, and members of the community. Technology upgrades are also noticeably present. The News and Media page showcases live social media updates from the board. The Innovation and Ideas tab allows districts and other outlets to share ideas, unique projects, and creative technology uses. And live audio of state board meetings is now available. The Data and Analysis section can be particularly helpful for boards of education and local districts. Up-to-date state report card statistics, as well as multi-year trends are available in both PDF and spreadsheet form. PARCC results also are broken down via easy-to-read documents that can be beneficial when explaining scores to the community. Also in the data section are numerous education-related reports. 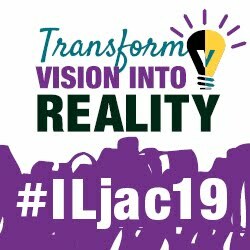 From the teacher salary study to ISBE’s annual report, all provide a breakdown of important information for board members, administrators, and families. One area that will likely receive an influx of web-viewers in the near future is the ESSA page. It provides details of the revised Every Student Succeeds Act (ESSA) state plan, as well as state and federal resources regarding implementation. An ESSA webinar, power point presentation, and one-page brief are also available. Two videos to assist with navigating the website are provided here.